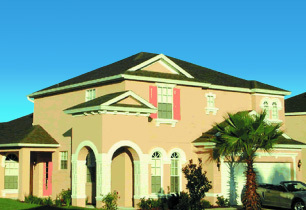 Welcome to our beautiful executive Florida vacation villa with pool. Brand new with luxury furnishings south-west facing views, a heated pool & spa and the special effects of our changing coloured lights make the pool an exotic place to unwind. Situated on the prestigious Calabay Parc community, our spacious 2,777 sq ft villa comfortably sleeps 12 and is available for rental all year around. Golf clubs are available for use. 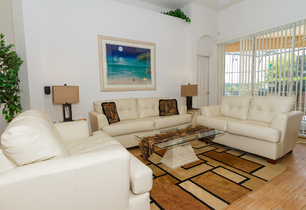 The spacious living room has a 50" HD widescreen cable TV and stereo music system. We have the luxury family room and XBox plus PC with free internet access to keep the children entertained and a fantastic games room. South-west facing, the double patio doors lead out to the fully screened 26ft L-shaped curved heated pool. 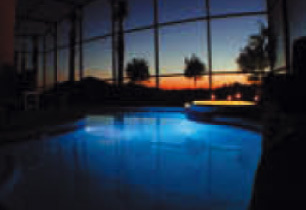 Relax in our heated spa or unwind to the exciting colours of our coloured lights in the pool. The extended pool deck has the benefit of the sun for most hours of the day and has luxury upgraded pool furniture. 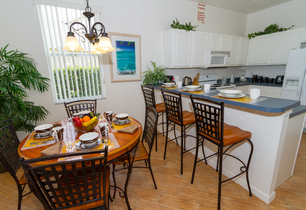 Sit out and enjoy a drink and the evening sunset under our covered lanai. Flat TVs in all the ROOMs :). All bed linen, towels and a hairdrier are provided. And for the children we provide a selection of books, toys, DVDs and pool toys. 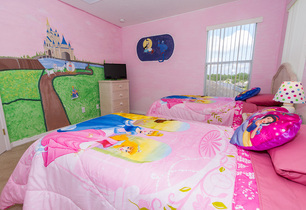 A beautifully themed Disney bedroom offers them comfortable surroundings and sweet dreams. 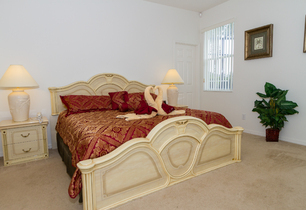 Disney, Universal and numerous other attractions nearby, this peaceful location is perfect for unwinding after a day at the parks. We think you will agree, this really is something special.